This plugin is based on original code provided by the NIST (http://www.nist.gov/itl/iad/ig/nbis.cfm). You'll also need at least .NET 3.5 Client profile as well (which by the way should already be installed if you use Paint.NET). 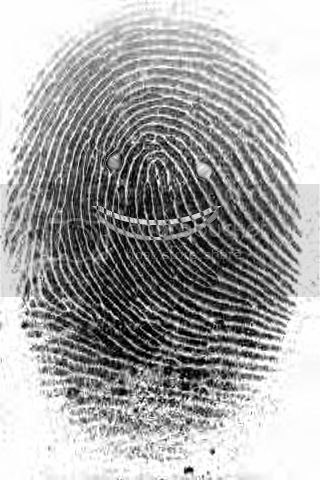 The plugin is attached to this post (as well as a sample fingerprint image). As usual, to install the plugin, simply copy the three DLL in the attached zip to your C:\Program Files\Paint.NET\FileTypes\ directory. There is room for improvements (support for embedded comments, specification of bitrate alongside of "quality"...) but though it's usable (I do). That's a nice job Oliver. Thanks! WSQ = Wavelet Scalar Quantization. As usual, to install the plugin, simply copy the three DLL in the attached zip to your C:\Program Files\Paint.NET\FileTypes\ directory. Just to clarify: There are four dll's. You need to copy over Delta.Wsq.dll, PdnWsq.dll and one of nbis32.dll or nbis64.dll depending on whether your pc is running 32 bit or 64 bit windows. Thanks, and yes you're right, there are 4 DLLs, and indeed, the simplest way to install it is to copy all the 4 DLLs to the FileTypes directory (regardless of the machine bitness, for Delta.Wsq.dll selects at runtime what native implementation to use based on the machine's bitness). Please share me link. Please help me Thank you. It's in the zip file at the bottom of the first post.